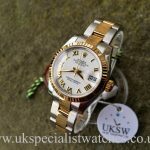 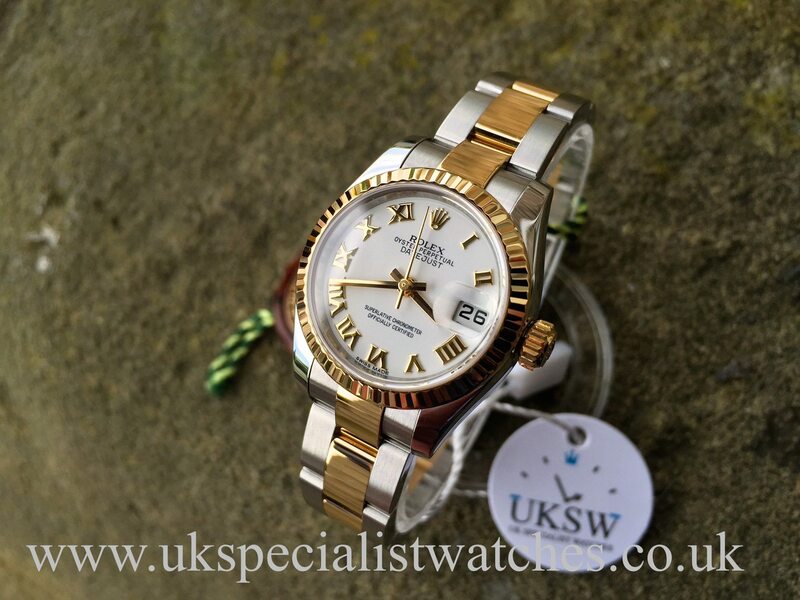 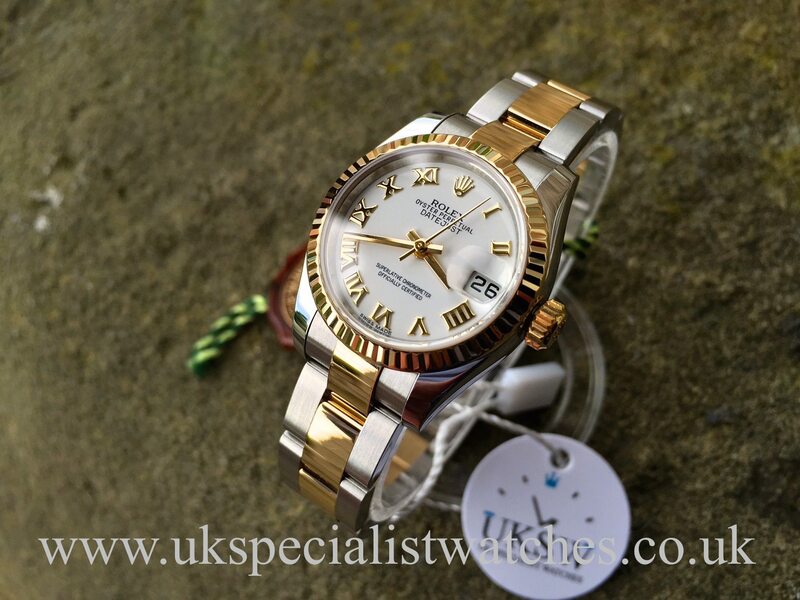 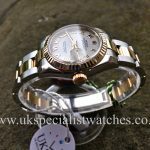 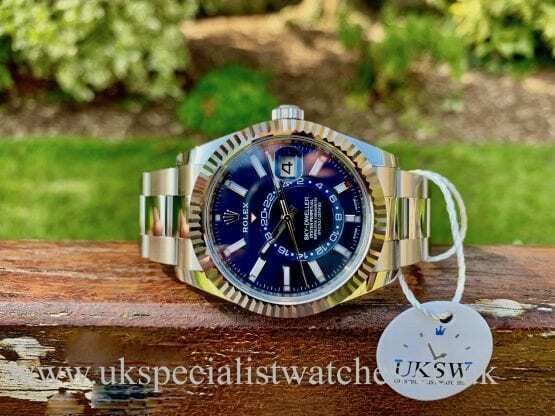 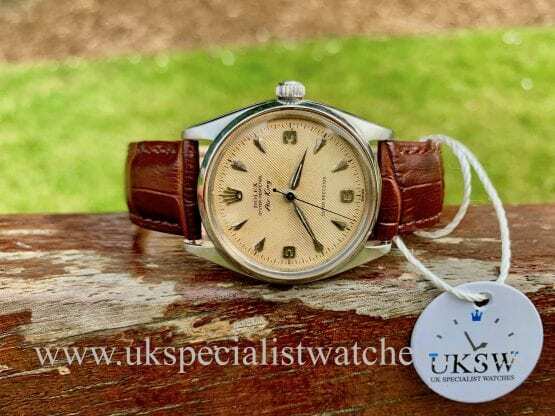 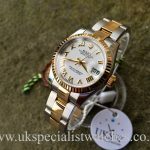 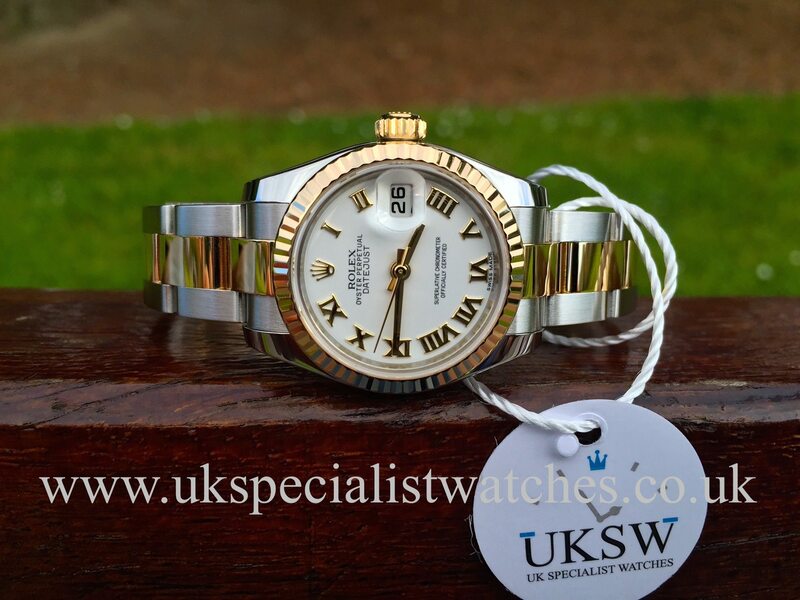 Rolex Lady-Datejust in Stainless steel and 18ct yellow gold, this is the latest model with a 26mm polished case which appears much bigger than its predecessor as it has a thicker case and wider lugs. 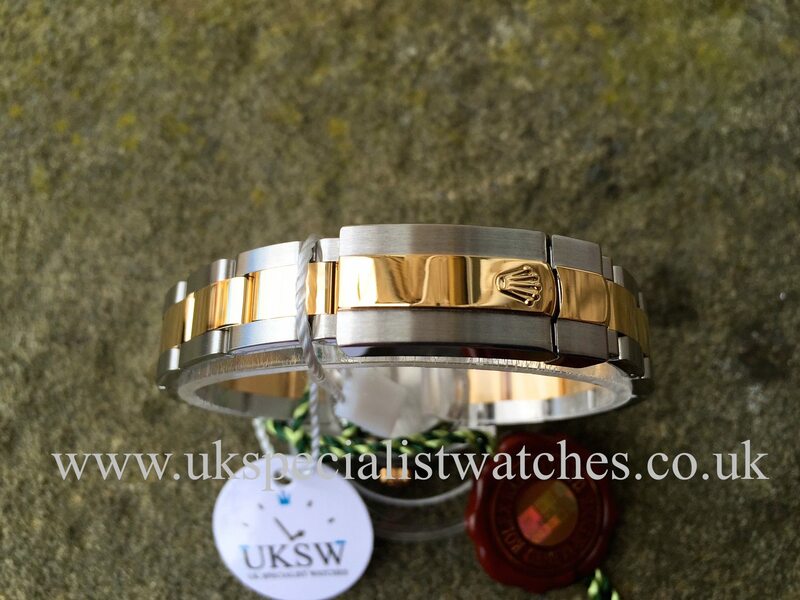 New style solid link Oyster bracelet with 18ct solid gold centre links and the new 18ct gold concealed folding clasp. 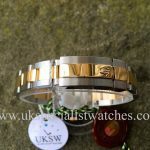 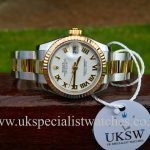 Stunning White dial with Gold Roman numerals and solid 18ct gold fluted bezel. 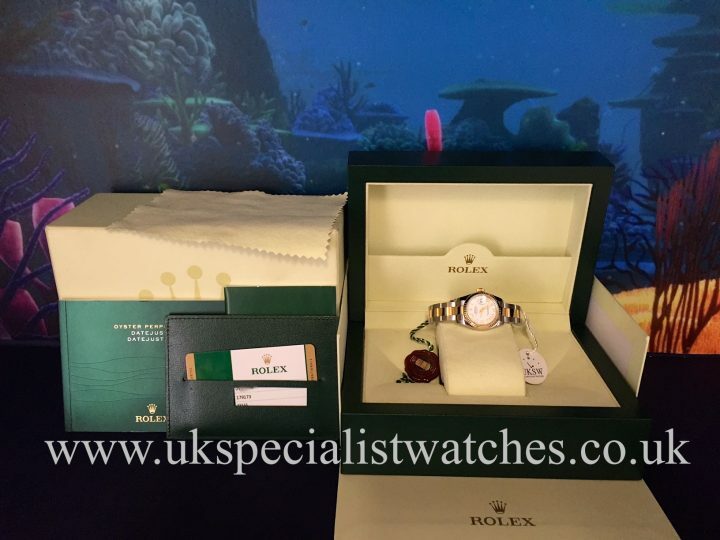 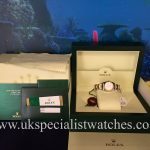 The watch is in absolutely pristine condition, supplied new in July 2014 and comes complete with Rolex boxes, warranty card and booklets. 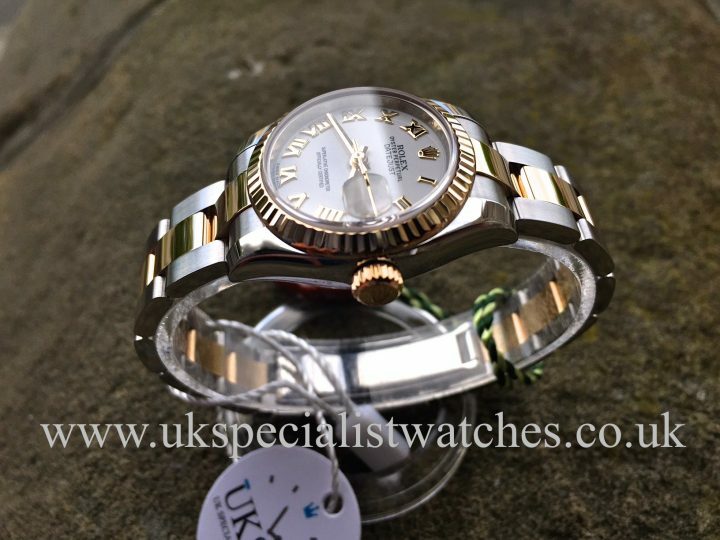 Costs new today £5750.